Xplor Preschool & School Age Care is an American operator of child care and early childhood education facilities currently owned by Nobel Learning Communities. Xplor provides preschool, kindergarten, before and after school programs and summer camp for families living in the state of Texas. Xplor’s “Links to Learning” curriculum prepares children for kindergarten and beyond by developing important academic, social and emotional skills. Classes are led by dedicated, caring teachers who value open communication with parents. OVERVIEW Houston is the most populous city in the state of Texas and the fourth-most populous city in the United States, with a census-estimated population of 2.312 million in 2017. The seat of Harris County, Houston is the principal city of the Greater Houston metropolitan area, which is the fifth most populous MSA in the United States. With a total area of 627 square miles, Houston is the eighth most expansive city in the United States. Houston is recognized worldwide for its energy industry (particularly for oil and natural gas) as well as for biomedical research and aeronautics. It is also leading in health care sectors and building oilfield equipment; only New York City is home to more Fortune 500 headquarters. The Port of Houston ranks first in the United States in international waterborne tonnage handled and second in total cargo tonnage handled. Houston was founded in 1836 on land near the banks of Buffalo Bayou (now known as Allen’s Landing) and incorporated as a city on June 5, 1837. The city was named after former General Sam Houston, who was president of the Republic of Texas and had commanded and won at the Battle of San Jacinto 25 miles (40 km) east of where the city was established. The burgeoning port and railroad industry, combined with oil discovery in 1901, has induced continual surges in the city’s population. In the mid-twentieth century, Houston became the home of the Texas Medical Center — the world’s largest concentration of healthcare and research institutions — and NASA’s Johnson Space Center, where the Mission Control Center is located. Nicknamed the Space City, Houston is a global city, with strengths in business, international trade, entertainment, culture, media, fashion, science, sports, technology, education, medicine and research. The city has a population from various ethnic and religious backgrounds and a large and growing international community. Houston is considered to be the most diverse city in Texas and the United States. It is home to many cultural institutions and exhibits, which attract more than 7 million visitors a year to the Museum District. Houston has an active visual and performing arts scene in the Theater District and offers year-round resident companies in all major performing arts. CONFIDENTIALITY AGREEMENT The information contained in the following offering memorandum is proprietary and strictly confidential. It is intended to be reviewed only by the party receiving it from STRIVE and it should not be made available to any other person or entity without the written consent of STRIVE. By taking possession of and reviewing the information contained herein the recipient agrees to hold and treat all such information in the strictest confidence. The recipient further agrees that recipient will not photocopy or duplicate any part of the offering memorandum. If you have no interest in the subject property at this time, please return this offering memorandum to STRIVE. This offering memorandum has been prepared to provide summary, unverified financial and physical information to prospective purchasers, and to establish only a preliminary level of interest in the subject property. The information contained herein is not a substitute for a thorough due diligence investigation. STRIVE has not made any investigation, and makes no warranty or representation with respect to the income or expenses for the subject property, the future projected financial performance of the property, the size and square footage of the property and improvements, the presence or absence of contaminating substances, PCBs or asbestos, the compliance with local, state and federal regulations, the physical condition of the improvements thereon, or the financial condition or business prospects of any tenant, or any tenantâ&#x20AC;&#x2122;s plans or intentions to continue its occupancy of the subject property. The information contained in this offering memorandum has been obtained from sources we believe to be reliable; however, STRIVE has not verified, and will not verify, any of the information contained herein, nor has STRIVE conducted any investigation regarding these matters and makes no warranty or representation whatsoever regarding the accuracy or completeness of the information provided. All potential buyers must take appropriate measures to verify all of the information set forth herein. Prospective buyers shall be responsible for their costs and expenses of investigating the subject property. ALL PROPERTY SHOWINGS ARE BY APPOINTMENT ONLY. PLEASE CONTACT STRIVE AGENT FOR MORE DETAILS. Net Lease Disclaimer STRIVE hereby advises all prospective purchasers of Net Leased property as follows: The information contained in this Marketing Brochure has been obtained from sources we believe to be reliable. However, STRIVE has not and will not verify any of this information, nor has STRIVE conducted any investigation regarding these matters. 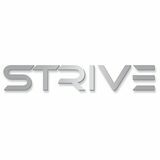 STRIVE makes no guarantee, warranty or representation whatsoever about the accuracy or completeness of any information provided. As the Buyer of a net leased property, it is the Buyer’s responsibility to independently confirm the accuracy and completeness of all material information before completing any purchase. This Marketing Brochure is not a substitute for your thorough due diligence investigation of this investment opportunity. STRIVE expressly denies any obligation to conduct a due diligence examination of this Property for Buyer. Any projections, opinions, assumptions or estimates used in this Marketing Brochure are for example only and do not represent the current or future performance of this property. The value of a net leased property to you depends on factors that should be evaluated by you and your tax, financial and legal advisors. Buyer and Buyer’s tax, financial, legal, and construction advisors should conduct a careful, independent investigation of any net leased property to determine to your satisfaction with the suitability of the property for your needs. Like all real estate investments, this investment carries significant risks. Buyer and Buyer’s legal and financial advisors must request and carefully review all legal and financial documents related to the property and tenant. While the tenant’s past performance at this or other locations is an important consideration, it is not a guarantee of future success. Similarly, the lease rate for some properties, including newly-constructed facilities or newly-acquired locations, may be set based on a tenant’s projected sales with little or no record of actual performance, or comparable rents for the area. Returns are not guaranteed; the tenant and any guarantors may fail to pay the lease rent or property taxes, or may fail to comply with other material terms of the lease; cash flow may be interrupted in part or in whole due to market, economic, environmental or other conditions. Regardless of tenant history and lease guarantees, Buyer is responsible for conducting his/her own investigation of all matters affecting the intrinsic value of the property and the value of any long-term lease, including the likelihood of locating a replacement tenant if the current tenant should default or abandon the property, and the lease terms that Buyer may be able to negotiate with a potential replacement tenant considering the location of the property, and Buyer’s legal ability to make alternate use of the property. By accepting this Marketing Brochure you agree to release STRIVE and hold it harmless from any kind of claim, cost, expense, or liability arising out of your investigation and/or purchase of this net leased property. Texas law requires all real estate license holders to give the following information about brokerage services to prospective buyers, tenants, sellers and landlords. TYPES OF REAL ESTATE LICENSE HOLDERS: •	A BROKER is responsible for all brokerage activities, including acts performed by sales agents sponsored by the broker. •	A SALES AGENT must be sponsored by a broker and works with clients on behalf of the broker. A BROKER’S MINIMUM DUTIES REQUIRED BY LAW (A client is the person or party that the broker represents): •	Put the interests of the client above all others, including the broker’s own interests; •	Inform the client of any material information about the property or transaction received by the broker; •	Answer the client’s questions and present any offer to or counter-offer from the client; and •	Treat all parties to a real estate transaction honestly and fairly. A LICENSE HOLDER CAN REPRESENT A PARTY IN A REAL ESTATE TRANSACTION: AS AGENT FOR OWNER (SELLER/LANDLORD): The broker becomes the property owner’s agent through an agreement with the owner, usually in a written listing to sell or property management agreement. An owner’s agent must perform the broker’s minimum duties above and must inform the owner of any material information about the property or transaction known by the agent, including information disclosed to the agent or subagent by the buyer or buyer’s agent. AS AGENT FOR BUYER/TENANT: The broker becomes the buyer/tenant’s agent by agreeing to represent the buyer, usually through a written representation agreement. A buyer’s agent must perform the broker’s minimum duties above and must inform the buyer of any material information about the property or transaction known by the agent, including information disclosed to the agent by th e seller or seller’s agent. AS AGENT FOR BOTH - INTERMEDIARY: To act as an intermediary between the parties the broker must first obtain the written agreement of each party to the transaction. The written agreement must state who will pay the broker and, in conspicuous bold or underlined print, set forth the broker’s obligations as an intermediary. A broker who acts as an intermediary: •	Must treat all parties to the transaction impartially and fairly; •	May, with the parties’ written consent, appoint a different license holder associated with the broker to each party (owner and •	buyer) to communicate with, provide opinions and advice to, and carry out the instructions of each party to the transaction. •	Must not, unless specifically authorized in writing to do so by the party, disclose: ӽӽ that the owner will accept a price less than the written asking price; ӽӽ that the buyer/tenant will pay a price greater than the price submitted in a written offer; and ӽӽ any confidential information or any other information that a party specifically instructs the broker in writing not to disclose, unless required to do so by law. AS SUBAGENT: A license holder acts as a subagent when aiding a buyer in a transaction without an agreement to represent the buyer. A subagent can assist the buyer but does not represent the buyer and must place the interests of the owner first. TO AVOID DISPUTES, ALL AGREEMENTS BETWEEN YOU AND A BROKER SHOULD BE IN WRITING AND CLEARLY ESTABLISH: •	The broker’s duties and responsibilities to you, and your obligations under the representation agreement. •	Who will pay the broker for services provided to you, when payment will be made and how the payment will be calculated. LICENSE HOLDER CONTACT INFORMATION: This notice is being provided for information purposes. It does not create an obligation for you to use the broker’s services. Please acknowledge receipt of this notice below and retain a copy for your records.